Daniel Wellington is a relatively new watch brand from Sweden, with a small but perfectly formed range of chic watches for men and women, featuring slimline designs on striped NATO straps, like Sean Connery in James Bond. 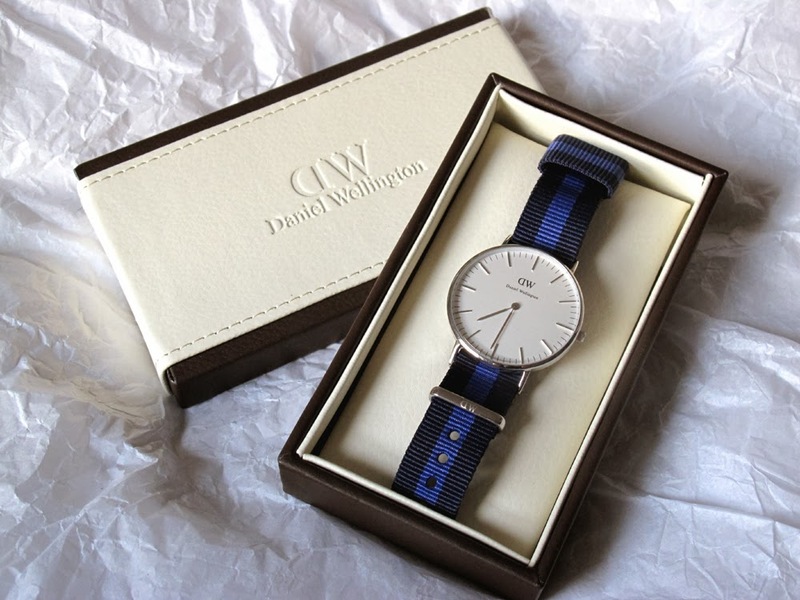 Filip Tysander, the Swedish brand's founder, met a charming British gentleman by the name of Daniel Wellington on his travels, who wore his sophisticated Rolex on old weathered NATO straps, inspiring a collection honouring this high/ low mix after recognising that there are plenty of preppy fashion brands but a gap in the watch market. 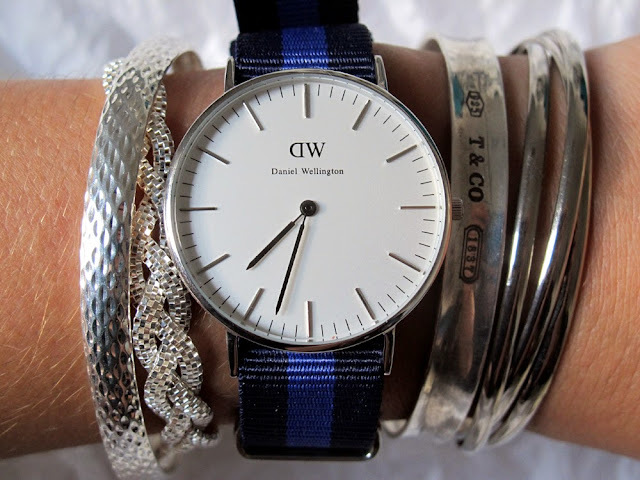 The classic round white face with silver or rose gold trim, hands and digits is thin, elegant and refined with few features, in contrast to the different colours and stripes of the thick nylon wrist straps, which were originally worn by divers in the British navy, as the strong, rust-resistant material could be worn over wetsuits. The interchangeable straps come in a variety of colours, inspired by schools, colleges, universities and cities to further establish that preppy feel. 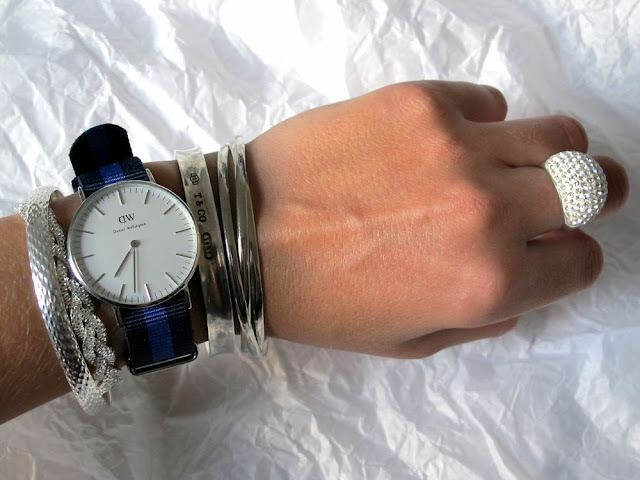 It made my day when I was sent one in a smart giftbox recently - I chose the navy and royal blue Swansea in silver to match the rest of my omnipresent arm accroutements - and I would definitely recommend as a great gift idea for stylish guys and girls this Christmas.